Her name is Sigma. Dr Sigma is an Assistant Professor in English teaching in a college in Thiruvananthapuram, capital of Kerala state in India. Her father gave her the name Sigma denoting a Greek Alphabet. She is a Malayalee. As we know the literacy rate in West Bangla and Kerala states are very high in India. Besides being a poet and an article writer, she is also an editor, reviewer and advisory board member in seven international Journals. “All thoughts of nationality, creed and education fall away, and we are left with the bare essentials of feminine existence – innocence, hope, love, intimacy, betrayal, sadness, pain, and ultimate loss… Here is a window on the soul of womanhood. Here is wisdom. Here is a respectful reflection. 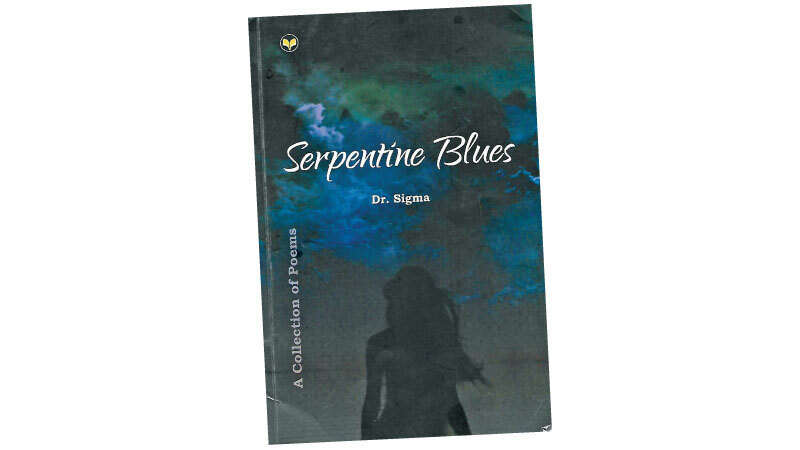 Dr Sigma has authored four poetry books and recently her “Feminine Blues” got translated into the Serbian language. The Government of Odisha State in India supported the organization of united working journalist forum awarded her Mirabhai Literary Award. Dr Sigma is an international director of the World Union of Poets. At the Cochin Literary Festival, she received the Poetry Prize for 2018. I had the pleasure of knowing the poetry of Dr Sigma by befriending her through Facebook. I haven’t met her or seen her in person. The themes of her poems are well discerned by the academic referred above and make me clearly understand what the poet says.